Reveal your brand's motivations, how it moves in the world, what its trigger points are and why it attracts certain customers. Forge relationships with the myriad stakeholders that affect your business. Empower your team to access their creativity and innovate with integrity. Readers will use this tool over and over again to inform and enliven brand strategy, and to create resonant and authentic communications. For more information visit www.archetypesinbranding.com. Margaret Pott Hartwell is a strategist, coach, teacher, speaker, and writer. 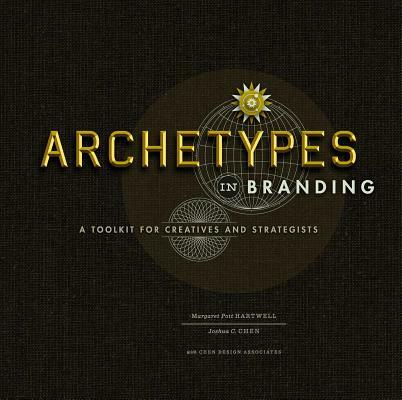 She adapted the concepts and created the content for the book and the deck of cards (www.archetypesinbranding.com). Her 20 years of experience chronicle a career of effective brand and business solutions at the intersection of creativity and business in both the U.S. and the U.K. Margaret holds her MBA in Sustainable Management from Presidio Graduate School, her BA from UC Berkeley, and an advanced coaching certification from the Institute of Transpersonal Psychology. Joshua C. Chen is principal and creative director of Chen Design Associates (www.chendesign.com). CDA works with clients who value a high level of design, who use the earth's resources responsibly, and who passionately create quality products and services that enhance people's lives. Josh and the CDA team have authored and designed three award-winning design books: Peace 100 Ideas (CDA Press, 2003), Fingerprint: The Art of Using Hand-made Elements in Design (HOW Books, 2006), and the newly released Fingerprint No. 2 (HOW Books, 2011).